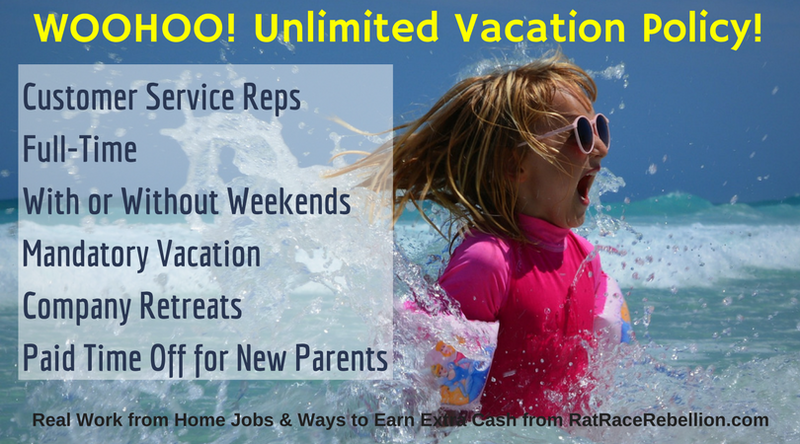 Work from Home Customer Champions – Paid Vacations and More! Pick your own equipment. We’ll set you up with whatever laptop + monitor combo you want plus any software you need. Unlimited vacation policy (plus we insist you take at least 2 weeks off each year – this isn’t a vague policy where unlimited vacation means no vacation). This entry was posted in Customer Service Jobs, Hiring Companies, Work at Home Jobs. Bookmark the permalink.